Real Madrid are looking to capitalise on Chelsea’s interest in Mateo Kovacic to seal a move for Thibaut Courtois. The Galacticos have been keen to replace their goalkeeper for the past few summers. Keylor Navas has been good in goal for Los Blancos, but Florentino Perez wishes to add a world-class shot-stopper who could perform at the levels of Iker Casillas. David De Gea and Thibaut Courtois have been his top targets. The latter almost made the move to the Bernabeu, but a faulty fax machine forced him to stay with the Red Devils. Moreover, the Spaniard has also come to realise that Manchester United is the club he wants to play with at this stage of his career. On the other hand, Courtois is inclined to make the jump to Spain. 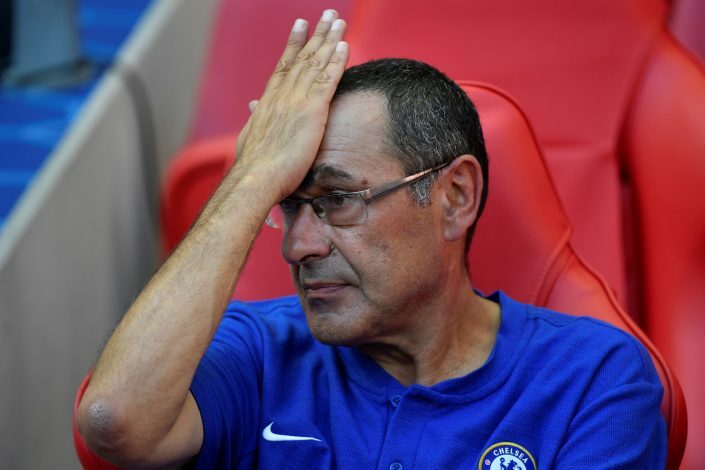 He was supposedly set to have talks with new Chelsea boss Maurizio Sarri on Monday, but he hasn’t shown up for training as of now, fueling speculation about a move to Real Madrid. The Blues will not be selling the Belgian goalkeeper if they aren’t able to sign a replacement before the transfer window closes on August 9. But Real Madrid have a proposition that might tempt Chelsea to allow Courtois to leave this summer. According to a report in Sky Sports, the reigning European champions are ready to include Mateo Kovacic in a deal for Thibaut Courtois this summer. The Croatian International has expressed his desire to leave the club due to the lack of regular football. Maurizio Sarri is said to be interested in Kovacic. Kante and Jorginho are certain to form the core of Chelsea‘s midfield this season, but there is a lot of uncertainty about the third individual. Danny Drinkwater and Tiemoue Bakayoko have been pretty average since joining the club, whereas Cesc Fabregas has been out of touch for the past couple of seasons. Therefore, Kovacic could play a key role in Real Madrid‘s pursuit of signing Courtois this summer. But this transfer also depends on whether Chelsea are able to land a goalkeeper in the next 48 hours. Athletic Bilbao custodian Kepa Arrizabalaga is one of the names that the Blues are being linked with at the moment.